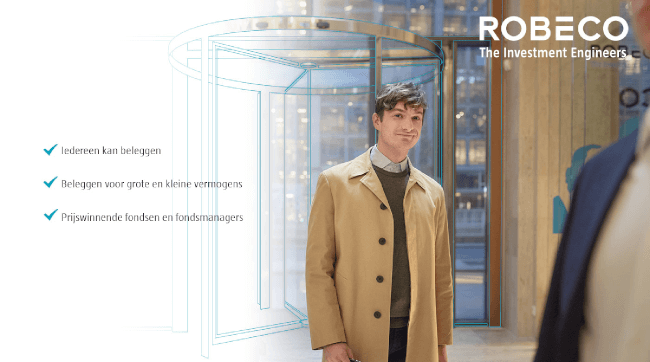 Robeco is an international asset manager that was founded in 1929 in Rotterdam, the Netherlands as the Rotterdamsch Beleggings Consortium (Rotterdam Investment Consortium). In fact, it was one of the first to offer investment opportunities to consumers. Over the years, Robeco has evolved from a traditional asset manager to an omnichannel service provider. Nowadays, everyone can invest online at Robeco Retail, benefiting from the advantages of a large institutional investor, tailor-made for consumers. Robeco offers a wide range of online services for the older and the younger segments. From the ready-made, all-in-one solutions such as Robeco ONE to an extensive service package to manage your own portfolio. We proudly base all our investment decisions on figures and smart models, therefore reducing risks and achieving optimal results. After all, we are a means for our clients to realise their (often emotionally charged) goals in life. Constantly trying to find new ways to make investing more accessible and understandable for our customers. About six years ago Robeco Retail switched to 100% online service. The credit crisis demanded a change, the Dutch public said farewell to investment products en masse. Additionally, all sorts of new providers entered the market at a rapid pace, offering simple and transparent products using online platforms. It was then that Robeco realised that its ‘I know what’s right for you’ service approach was no longer viable. There was an urgent need for change. It was a true ‘adapt or die’ scenario. Traditionally, Robeco’s customer base consisted mainly of consumers aged 45 to 75 years, employed, with financial advisers. Switching to a 100% online service and an execution-only strategy opened the market to a younger target audience. This generation expects everything to be readily available online and prefer to have control over everything. Robeco has been using customer surveys for years to monitor their customer satisfaction. With the transition to a fully digital service, tools to measure customer behavior online became even more important. By monitoring online behavior you mainly measure WHAT customers do. But customer feedback gives them insights into the WHY. They not only want to know that customers drop out at a certain touchpoint, but especially why. Maybe, something is unclear, inconvenient, or is there a functional problem? Thanks to feedback we are building a better relationship with our customers; we have an understanding of their emotional drivers. This is necessary to provide them with the right information and tools. We want to give the right support. The main reasons for choosing Mopinion were the customisable dashboards and the action management capabilities. It is very easy to visualise the feedback results, allowing trends or outliers to be detected quickly. From here, further research can be done. And because all feedback is collected and processed in one tool, it has made closing the feedback loop much easier. IJben continues, “Although the majority of our customers do not contact the Investment Service department and are only active online, our employees still play a crucial role in improving our online experience. We compare the feedback results with the contact moments of customers to see where adjustments are needed. Important customer experience metrics (such as the CSAT, GCR and CES) visualised in the dashboards ensure that their teams can keep a close eye on the customer experience. Every month, these results are fed back to the various teams (Investment Services, IT and Marketing) and deeper analyses are carried out to explain trends or to determine the need for further investigation. Based on the results, sessions with a multidisciplinary team are then organised to deal with an issue. Throughout the website, Robeco’s customers can leave feedback through the feedback button. The Robeco team also actively requests feedback across various touchpoints on the website (e.g. after making a transaction), in emails and customer surveys. “Mopinion gives us clear and real-time insights into our customers’ feedback and enables us to close the feedback loop. 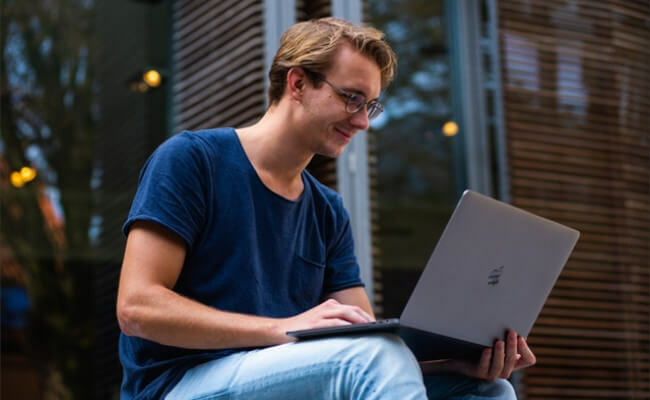 We see the development of customer satisfaction at a glance, as well as where we immediately need to follow up on feedback – either by calling the customer back or by adjusting the online journey in some way. The main advantage of Mopinion is that all feedback is integrated into one platform and we can quickly gain initial insights via the dashboard by comparing CX metrics such as CSAT, GCR and CES. It immediately becomes clear where things are going well and what can be improved. “I am still amazed by the amount of feedback our customers are willing to give us! In the past, I had invest a lot of time in analysing the data to be able to discover certain trends or striking insights. Now we have a clear vision on what is going on with our customers. Mopinion’s software enables Robeco to act much faster on dropouts in online journeys. The feedback results provide input for improving Robeco’s processes and preventing service outages in the future.